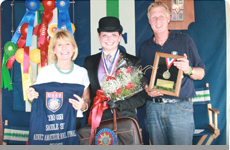 Ali Judah with instructors Sarah and Rob Byers after her USEF Adult Saddle Seat Medal National Championship win. 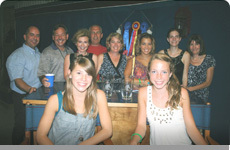 Stephanie and Allie Wellington, Lewis Eckard and Molly Crim after Allie's Jr. Ex. 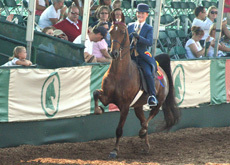 3-Gaited Championship with Prom Dress at Lexington. Georgia Bulmer Ferreira and Milady Huntly were Show Pleasure Champions at Lexington for Robert Bodart and trainer Mike Spencer. 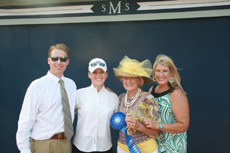 Mandy Martin and Lillian Shively joined Courtney McGinnis after her Junior Saddle Seat Equitation Championship win. Wendy and A.J. Bruwer with Vicki Reed after A.J. 's 3-Year-Old Fine Harness win with Kalarama's New York Lady. 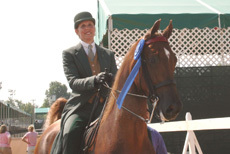 Ali DeGray and Careless Fortune topped the Country Pleasure Championship at Lexington for Helen and James Rosburg. 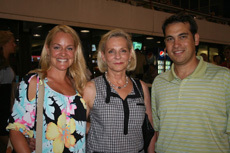 The Lowry Stables crew was in a celebratory mood after a great Wednesday night on the Red Mile featuring two big wins. 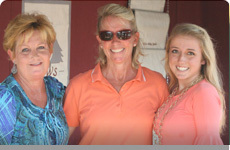 Kim Cowart with her girls who finished top two in the 14-entry Hackney Pleasure Driving class, Tamra Arndt and Caitlin Leith. 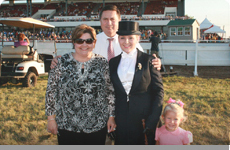 Merrill Murray is 2 for 2 this year in Open Gaited Stakes on the Red Mile for Bill Carrington, Marsha Shepard and Larry Hartsock. 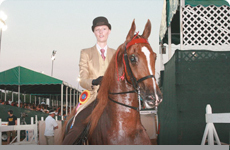 Kathy Capsuto-Walker and Tremendously Charming topped a field of 16 in Adult Country Pleasure at Lexington. 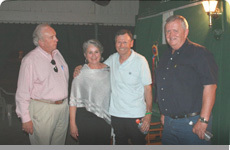 Matt Shiflet, Whitney Bennett, Pat Yeatts, and Kim Crabtree celebrated a great night for Matt Shiflet Stables at Lexington.